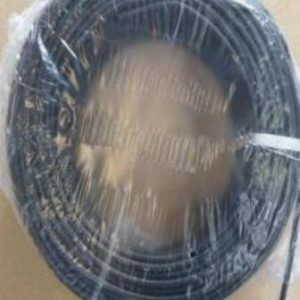 4 mm², single-core, Brown, 100m NEW H1Z2Z2-K certified 100m solar cable with length label. 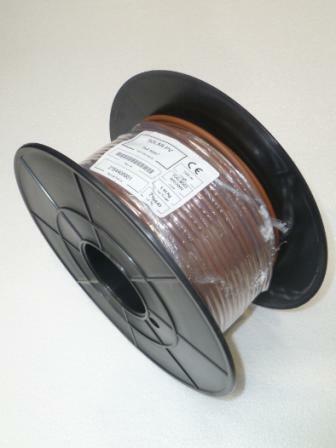 Manufactured against the latest European Standard EN 50618 and with the harmonised designation H1Z2Z2-K, these Solar DC Cable are specified cables for use in Photovoltaic (PV) systems, and in particular those for installation at Direct Current (DC) side with a nominal DC voltage of up to 1.5kV between conductors as well as between conductor and earth, and not exceeding 1800V. 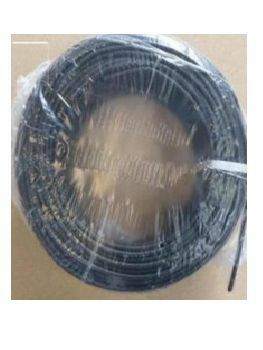 EN 50618 requires cables to be low smoke zero halogen and be flexible tin-coated copper conductors with a single core and cross-linked insulation and sheath. Cables are required to be tested at a voltage of 11kV AC 50Hz and have an operating temperature range of -40°C to +90°C. H1Z2Z2-K supersedes the previous TÜV approved PV1-F cable. H1Z2Z2-K PHOTOVOLTAIC CABLE CONSTRUCTION Conductor Flexible tinned copper (Class 5) Insulation Halogen-free cross-linked compound Outersheath Halogen-free cross-linked flame retardant compound The compounds used in these solar cable’s insulation and outersheath are halogen free cross-linked, hence the reference to these cables as “cross-linked solar power cables”. The EN50618 standard sheathing has a thicker wall than the PV1-F cable version. As with the TÜV PV1-F cable, the EN50618 cable benefits from a double-insulation offering increased safety. The Low Smoke Zero Halogen (LSZH) insulation and sheathing makes them suitable for use in environments where corrosive smoke would present a risk to human life in the event of fire.